The project was carried out in January 2011. 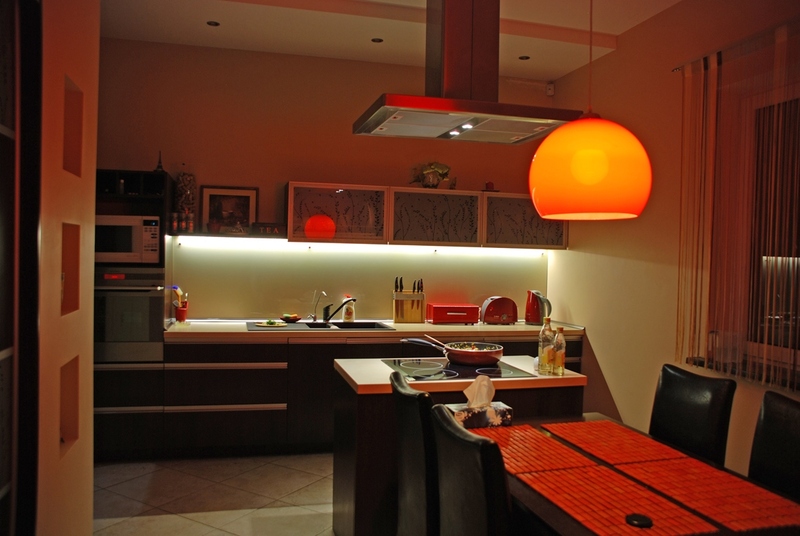 Kitchen: in the ceiling mounted 4 pcs 35w bulbs replaced on 4 pcs LED bulbs 3,5W; 3 pcs T5 lamps 18W above the countertop replaced on 3m LED strip 4,8W/m; 2 pcs 50w bulbs in the kitchen hood replaced on 2pcs 4W led bulbs; 1pcs 60W bulb in the light above the table replaced on 1pcs 6w led bulb. 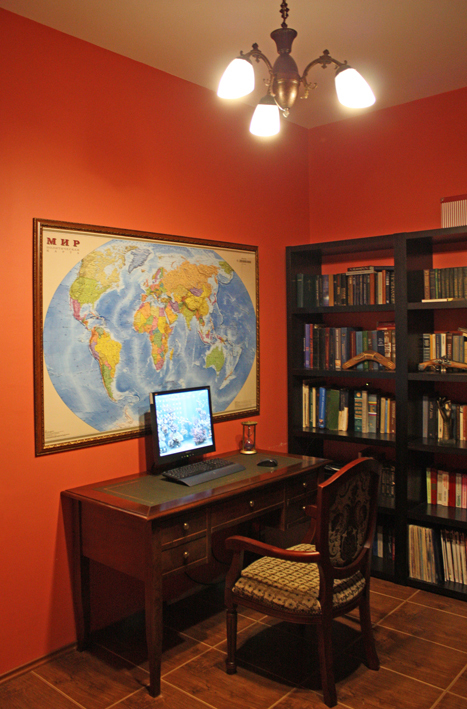 Livingroom: T8 1,5m 56w lamps replaced on 24m 14,4w/m led strip. 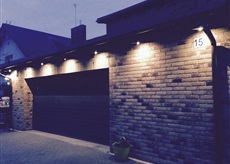 Garage: 2pcs lights with 2pcs T8 1,2m 36W lamps replaced on 4pcs 19w LED lights. Stairs: 9pcs 10w bulbs replaced on 9pcs 1W LED bulbs. 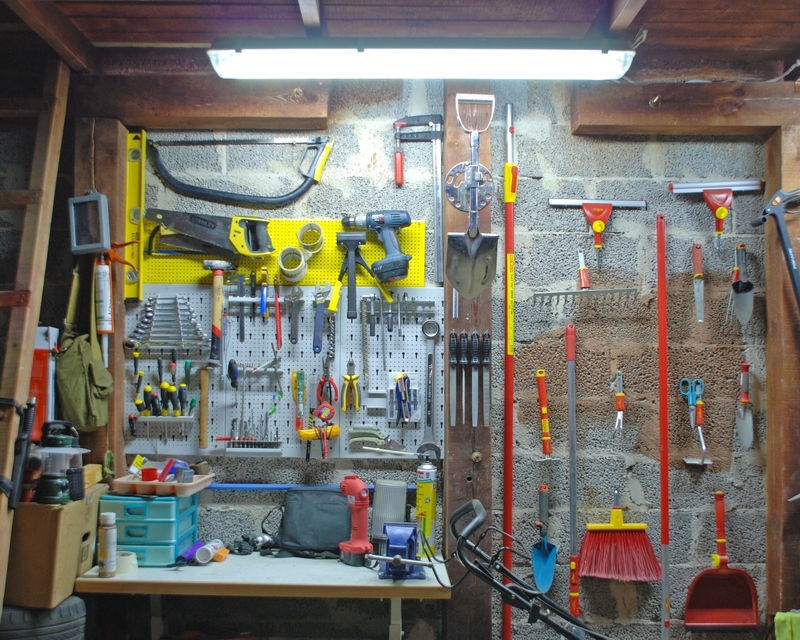 Corridor: 4pcs lights with 2pcs 25W bulbs replaced on 8pcs 2W led lights. Bathroom: 6pcs 35w bulbs replaced on 6pcs 3,5W led bulbs. Dinning room: 3pcs 60W bulbs replaced on 3pcs 6W led bulbs. Woorkroom: 3pcs 60W bulbs replaced on 3pcs 6W led bulbs.